Faith, family, and charity were the recurring themes of Patricia Tully’s life. Born the youngest of eight children to Daniel Francis Fay and Sarah Ellen “Ella” Riney on July 12, 1927, in Stuart, Iowa, Mom – or “Pat,” as she was called by those who knew her – was a sweet little girl who adored her brothers and sisters and was loved in return for her cheery and fun-loving ways. When she was two years old, Pat followed her older brother, Francis “Frannie,” into the fields to play. As Frannie tried to show her how to use a slingshot, he accidentally hit a beehive. With hundreds of angry bees swarming around them, the two panicked children fled. But Frannie, about 9 at that time, easily outran his baby sister, and little Pat arrived at the house with a multitude of bee stings. Her father, Daniel, picked her up and silently cradled the helpless toddler her in his arms. Years later, she remembered feeling safe and protected as he rocked her tiny, pain-wracked body throughout that long night. It would be her only memory of her father. Daniel Fay died a year later, in 1927, leaving Ella, a seamstress, to raise her eight children on her own during the Great Depression. Ella’s strength, love, and spirituality made her a role model and hero to Pat, who remembered her passionately throughout her own life. Ella faced her challenges bravely and not without a sense of humor. About a year or so after their father’s death, she came home one sunny afternoon to find her four youngest children carefully carrying the household furniture outside. When she asked them why, little Pat piped up, “Because Frannie says we need a bigger house, Mother, so we’re gonna set fire to this one!” The others nodded excitedly in unison. Scooping up her youngest child, Ella matter-of-factly informed the other children that the family would not be moving, instructed them to return the furniture to the house, and calmly went inside. Ella and Pat were extremely close. Pat would climb into bed with her mother every night, where the two would snuggle together, Ella calling Pat her “little stove” because she kept her mother warm. In the morning, she would awaken her daughter by gently stroking her forehead. These moments of tenderness would carry Mom through her life and help her to become both loving toward and beloved by all whose lives she touched. Pat was 12 years old when Ella was diagnosed with stomach cancer. 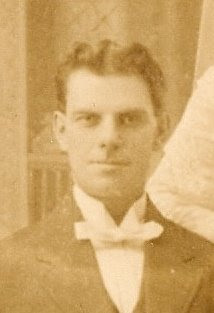 Ambrose had died five years earlier of tuberculosis, and Joe and Frannie, now adults, had left home. The only treatment center being in Chicago, Ella moved her five daughters, Katherine “Kay,” Dorothy “Dot,” Monica “Mickey,” Adele “Del,” and Pat to a small apartment on Chicago’s South Side. Del and Pat entered St. Thomas Aquinas High School (coincidentally, my own mother, Joan Schiavon, would attend the same school a couple of years later). When it became clear that the treatments were not working, Ella decided to return to Stuart to die. With little to her name, she made a special trip to a photography studio to have a portrait made of herself so she would have something to leave her children. Knowing she had little time left, she baked Pat a beautiful chocolate cake for her 13th birthday in mid-May of 1938, though Pat’s actual birthday would not be until that July. On May 22, barely a couple of weeks later, Ella Riney Fay died, surrounded by her children. 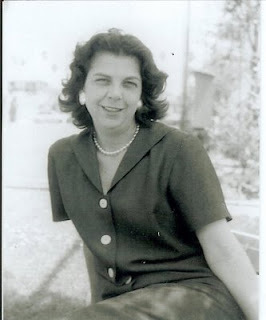 The only things Pat had of her mother’s were her parents’ wedding picture and her mother’s portrait. She treasured the pictures all her life and hung them near her bed, so that they were the first things she saw when she awoke in the morning. 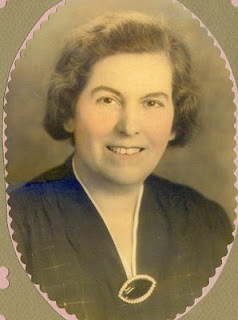 After her mother’s death, Pat and her sister Mickey moved to California, living together in Oakland for about a year until Mickey joined the WACS during World War II. Mom was on her own from that time on. Adversity had made her resilient, outgoing, and adventurous, and she and a group of her girlfriends moved to Honolulu, Hawaii for a couple of years before returning to California, this time to Santa Monica, where held a number of jobs and even learned to fly a two-seater prop airplane. She used to say that God was always watching over her because she was never without work. A lovely young woman with an easy laugh and a love of life, Pat met Welner “Bing” Tully, a young World War II Army veteran, when she moved into an apartment in the same building in which he lived. They found a strong and common bond in that they had both lost their parents at an early age and had been on their own for a long time. They were married in Las Vegas, Nevada, on March 1, 1958, moving to a small cottage in Topanga Canyon. As time went on, they would live in London, England, Santa Monica, Santa Maria, and San Jose, California, eventually celebrating 39 years of wedded life. 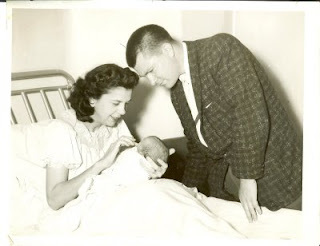 Pat and Bing forged their marriage based on mutual support and devotion and gave their children, Charles and Kathleen, a life filled with love and laughter and encouragement. The consummate mother, Pat took great pride in her children and used to say they had never given her a moment’s trouble. She never raised a hand to them but reared them instead with firmness, wisdom, and respect. Among her most prized possessions were their school pictures, a pencil holder that Charles had made her as a little boy, and a short story Kathleen had written in grade school. Once, when Charles was about 10 years old, he put a rubber rat on her Mixmaster electric mixer, probably thinking he would scare the daylights out of her. She thought it was so funny that she glued it right onto the base of the machine, where it remains to this day. She took great delight in baking birthday cakes for her family. No one could bake a German chocolate cake like Mom could. Your birthday was not complete without one of her famous cakes. When Charles and Kathy were grown, Pat took on do-it-yourself home improvement projects. No sooner than Bing was in a limo on his way to the airport for a business trip, Pat would pull out her tools and begin painting, wallpapering, or sanding floors. Bing used to joke that when he returned home, he sometimes wondered if he had walked into the right house. Although a sentimental person, she loved a good laugh and preferred an outrageously funny greeting card to a serious one. She entered easily into conversation with friends or strangers alike. She explored both sides of a problem and refused to judge anyone – “you never know what another person is going through,” she used to say. She was a good listener, compassionate, and empathetic. She was always ready to put her own thoughts aside to be present for anyone who needed her ear. Pat was proud of her Irish heritage and kept a number of books on Irish history and culture by her chair in the living room. A favorite song of hers was “When Irish Eyes are Smiling,” and she loved to sing it to her grandchildren as she cuddled them in her rocking chair. The thought of her grandchildren’s names being very Irish delighted her, and she claimed that each of them had “the map of Ireland” on their faces and in their eyes. Material things meant nothing to her. Her riches were her memories of her mother and of Charles and Kathy when they were little, and her almost daily visits by her grandchildren. She was proud of the closeness she and her sisters shared, though they lived thousands of miles apart. She loved visiting them and reminiscing about the old days when they were all together, of how their mother had loved them all so much and of all the hardships they had overcome together after her death. 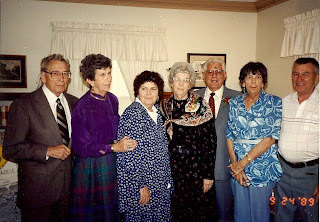 Pat and her sisters (and spouses): Clay and Dorothy Tillisch, Monica Shipley, Adele and Leo Bianchi, and Patricia and Bing Tully. Omaha, Nebraska, September 24, 1989. She was never a “mother-in-law” in my eyes. She and my mother had been close, and when my mother was dying of cancer ten years ago, she asked Pat to be my mother in her absence. 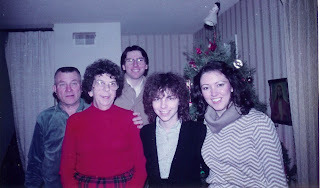 Pat was indeed my “mom.” Saturday evenings, long after everyone had left the dinner table, we bared our souls to each other and talked for hours, about the Church, family, childrearing, and moral values. If there was one subject we disagreed on, it had to be our after-dinner drink of choice: she loved her coffee, while I preferred tea. “How on earth can you drink that stuff?” she would tease me. 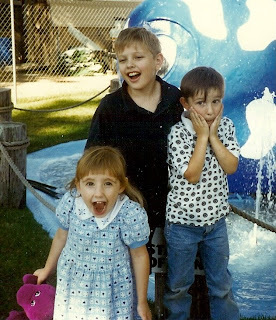 In her later years, Mom lived for her grandchildren, Michael, Kevin, and Erin. She and Dad babysat them every chance they got, and she delighted in their growth and accomplishments. She was ever the doting grandma. She cried when each of them started preschool and beamed when they brought her nosegays of flowers from the garden. Her “babies” could do no wrong in her eyes. To her, they were perfect in every way. Mom owed her deep love for the Church to her own mother, a devout Catholic who brought her to daily Mass and passed on to her daughter her devotions to the Sacred Heart and the Virgin Mary. A long-time parishioner of Queen of Apostles Church in San Jose, Pat helped out in the office, edited the parish newsletter, The Queen’s Herald, served on the parish council, and participated in the Rite of Christian Initiation for Adults (RCIA), a program for new and not-so-new Catholics who wanted to better understand the Church. She had many friends at the church: lay, clergy, and religious, and she spoke of them often. Until her health worsened during the last eight to ten months of her life, she had never missed a Sunday Mass. The one exception she made, possibly her last Mass, was the celebration of Michael’s First Communion on April 20, 1996. It was a highlight of her life to witness her eldest grandson receive the Body of Christ. Although she had survived a surgery to repair six blockages in her arteries, the strain on her body began to take its toll, and the flow of oxygen to her brain diminished during the last year of her life. Her memory began to fade, but the things that mattered most to her all her life were the things she remembered up to the end. Her God, her precious mother, her family – these things never left her mind or her heart. One sunny August day in 1996, she confided that she had forgotten how to knit. She was frustrated that she could no longer knit the caps she so loved to bring to Brother Joseph, but even this she tried to accept gracefullyand quietly. She seemed to know that she would be leaving us soon, and she talked longingly and frequently of her mother. Her voice would trail off as she recalled stories about her mother, and sometimes she seemed to be in another world. She began to give little things to Erin, as if she no longer had any need for them. She talked of Charles and Kathy, of what good children they had been and how proud they had made her. The evening of the day Mom died, we drove over to the house to be with Dad and Kathy. The children, at the time ranging in age from 8 to 4, understood that Grandma had died that morning, and they became excited as we entered the house. “Look!” they cried as they noticed some of her belongings. “Grandma left these behind!” I guess they thought that when you die, you take your things with you. She left us behind, too, but thankfully, she left us with a lifetime full of memories – memories of a sister, a friend, a wife, a mother, and a grandmother whose life gently, lovingly, and gracefully touched all those who knew and loved her.